Heterogeneous materials consisting of different phases are ideally suited to achieve a broad spectrum of desirable bulk physical properties by combining the best features of the constituents through the strategic spatial arrangement of the different phases. 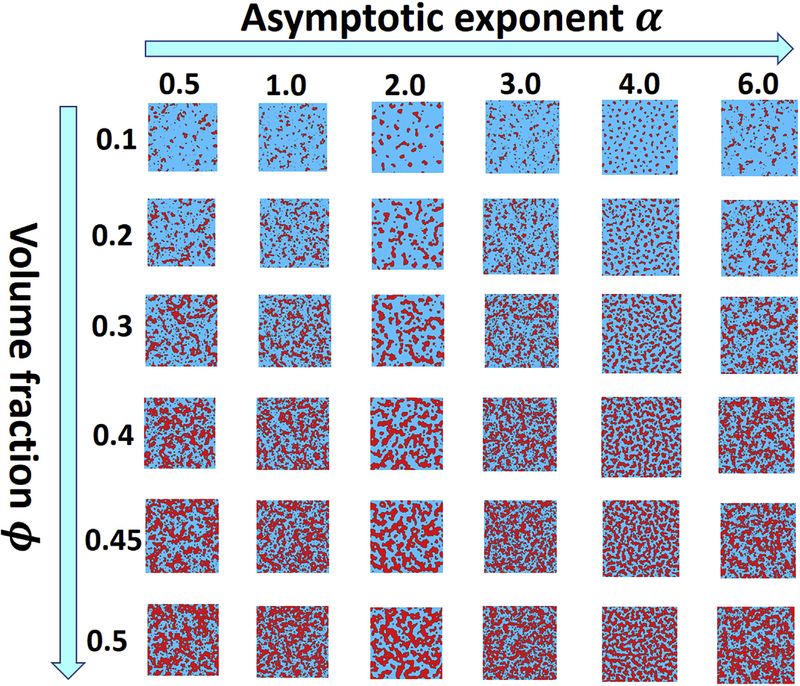 Disordered hyperuniform heterogeneous materials are new, exotic amorphous matter that behave like crystals in the manner in which they suppress volume-fraction fluctuations at large length scales, and yet are isotropic with no Bragg peaks. In this paper, we formulate for the first time a Fourier-space numerical construction procedure to design at will a wide class of disordered hyperuniform two-phase materials with prescribed spectral densities, which enables one to tune the degree and length scales at which this suppression occurs. We demonstrate that the anomalous suppression of volume-fraction fluctuations in such two-phase materials endow them with novel and often optimal transport and electromagnetic properties. Specifically, we construct a family of phase-inversion-symmetric materials with variable topological connectedness properties that remarkably achieves a well-known explicit formula for the effective electrical (thermal) conductivity. Moreover, we design disordered stealthy hyperuniform dispersion that possesses nearly optimal effective conductivity while being statistically isotropic. Interestingly, all of our designed materials are transparent to electromagnetic radiation for certain wavelengths, which is a common attribute of all hyperuniform materials. Our constructed materials can be readily realized by 3D printing and lithographic technologies. We expect that our designs will be potentially useful for energy-saving materials, batteries and aerospace applications.